As sporty coupes go, the Scion FR-S is definitely one of the most budget-friendly, whether it’s being sold as a Scion, a Subaru BRZ, or a Toyota 86 (or GT86, depending on your country). While its long list of monikers might make it seem like a complicated car, the FR-S is actually quite simple—until you start adding aftermarket parts, like this Rocket Bunny bodykit. 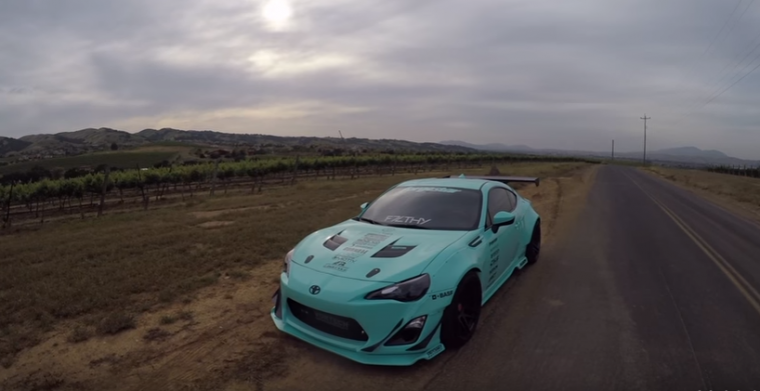 While the Tiffany Rocket Bunny FR-S certainly packs in the modifications, there are a number of common aftermarket parts typically added to these sports cars. One of the first things to go is often the stock 17-inch alloy wheels, which are usually replaced by larger wheels fitted with performance tires rather than the stock all-terrains. Other common modifications include a lowered suspension, a sportier exhaust, and enhanced brakes for increased stopping power. The Scion FR-S will no longer be a thing come August, but the coupe will move over to Toyota’s lineup and adopt the “86” moniker that the car wears in most other countries in which it’s sold.